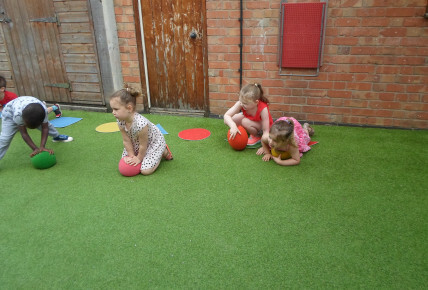 The preschool children here at Busy Bees in Loughborough have been taking part in a weekly class with Rugby Tots. 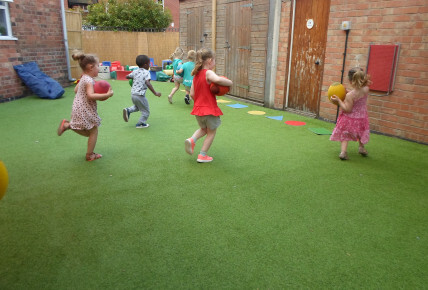 Each week the children have been developing their physical skills by doing games and activities including throwing and catching a rugby ball correctly, throwing the ball through hoops, using their toes to stand a cone up, learning how to score a 'try', warm up exercises that also incorporate mathematical skills and games that involve colours and shapes. 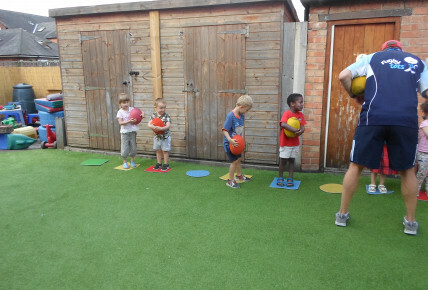 The children show lots of excitement for these activities and thoroughly enjoy the sessions with Rugby Tots. 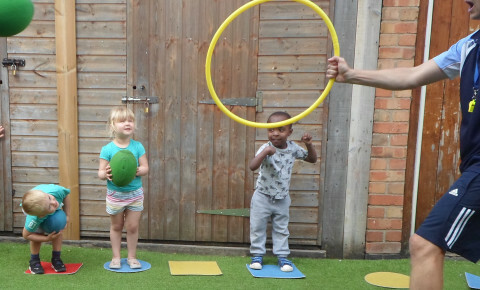 These extra classes are provided by the nursery and change every 10 weeks so that the children have the opportunity to learn something different. 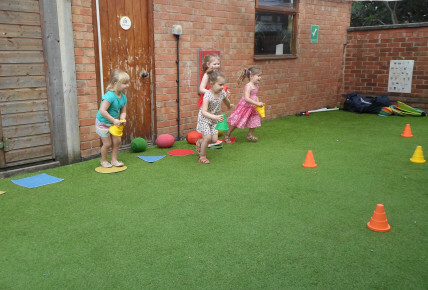 Come along and visit our nursery to see what other exciting activities we have on offer for the children. 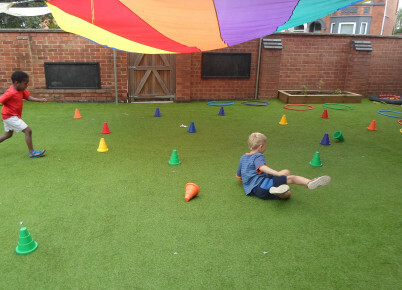 If you would like anymore information on the nursery please contact Vanessa or Amy on 01509217275.